Looking for boiler installation or boiler replacement in London? We are accredited and approved Vaillant, Ideal/Keston and Viessmann installers and can offer extended warranties on some models. Our registered gas engineers (Gas Safe – previously Corgi) are fully qualified to install, repair and service all types and models of boilers. If you need a emergency plumber or Boiler Repair in London please CALL US 07399 888845. 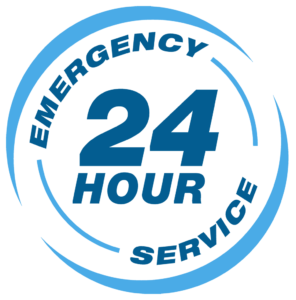 Our gas engineers and emergency plumbers can be at your door, usually within the hour 24/7. Whether it’s a boiler breakdown, leaking pipe, burst water cylinder we can despatch a gas engineer or emergency plumber to make your property warm and dry. Our comprehensive plumbing range services include: Gas installations, Central heating, domestic and commercial heating or plumbing. Boiler installations and boiler repairs, Boiler services and Gas Safety Certificates, Central heating installations and repairs, Hot water cylinders – Megaflo, General plumbing – leaking pipes, kitchen sinks etc. We are Gas Safe Registered Engineers – Gas leaks repair, Gas boilers repair, Gas appliances services and repairs. Our qualified team can install, servicing and repair all Central Heating Systems. We offer Commercial Catering Gas Certificates, Appliances Repair and Service, Gas safety interlocking systems. Gas Safety, Vaillant Boilers Installers London, Ideal Boilers Installers London, Worcester Boilers Repair, Viessmann Boilers Service and Repairs, Potterton Boilers, Baxi Boilers, CP12 Certificate London, Gas Safety Check London, Landlord Gas Certificate, Corgi Gas Certificate, Domestic and Commercial Emergency Boiler Repair, Emergency Plumbers London, London Boiler Installers, Plumber London, Plumbing company London, Plumber South West London, Plumbing South west London, Gas Engineer London.